As you may have already noticed, we have made some minor changes involving Digital Signatures. 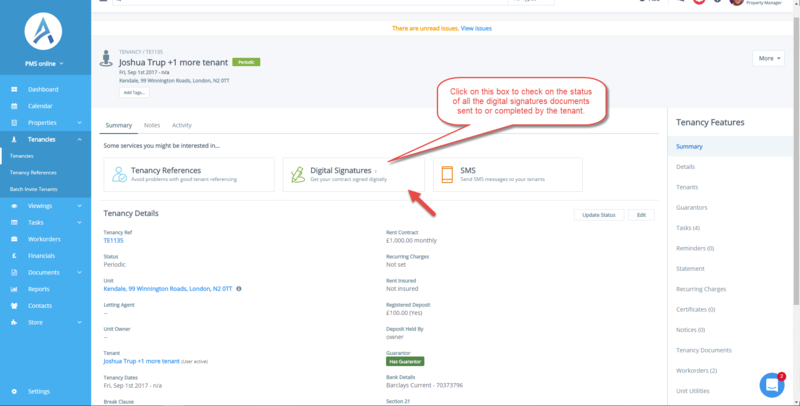 Previously, you would have to look at the Tenancy Digital Signature tab to track your digital signatures and download any signed copies. 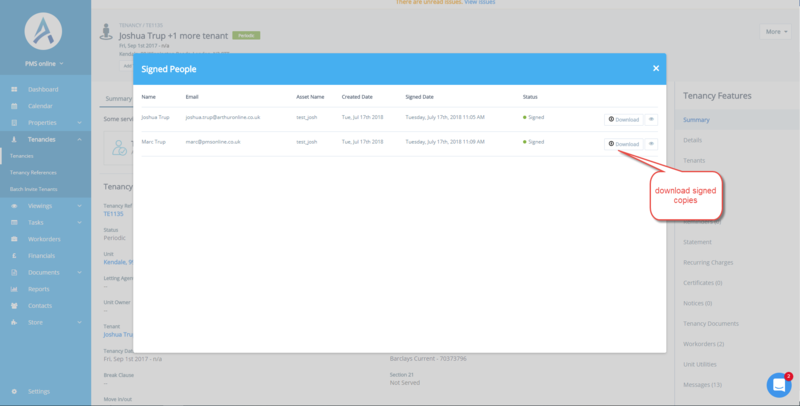 With the latest software update, your digital signatures can now be easily created and tracked from the new widget at the top of the tenancy screen. 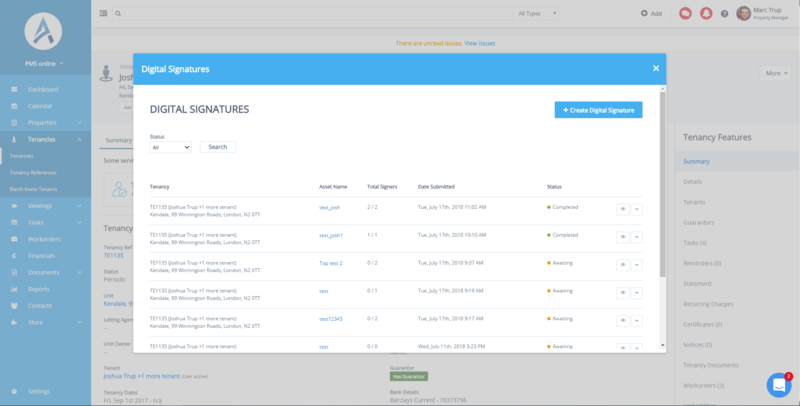 Keep on top of your paperwork, easily track the status of your contracts and see which signatures remain outstanding! 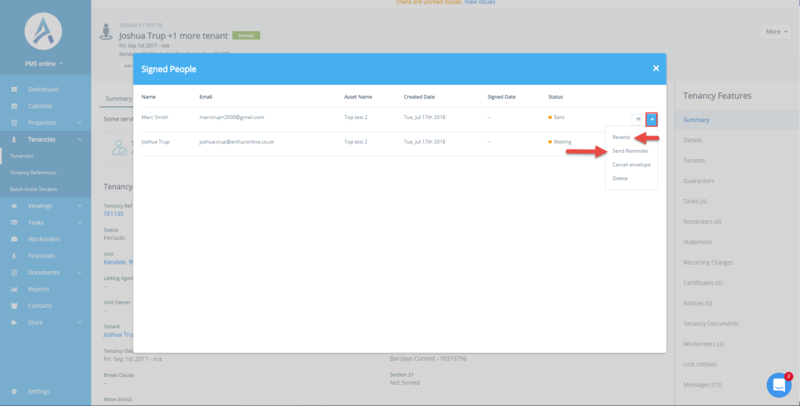 Documents that have been awaiting signatures can be easily chased by sending reminders to other users. If you wish to re-create a digital signature from scratch, then click on Resend. (This action will use up one credit for Signable). Easily download your signed copy once completed by all users. For an overview of all the documents sent for digital signature across your account, remember that you can always check this in Documents>Digital Signature. If you have any questions please don’t hesitate to contact us through the live chat. We will keep you updated with future releases in the next few weeks!